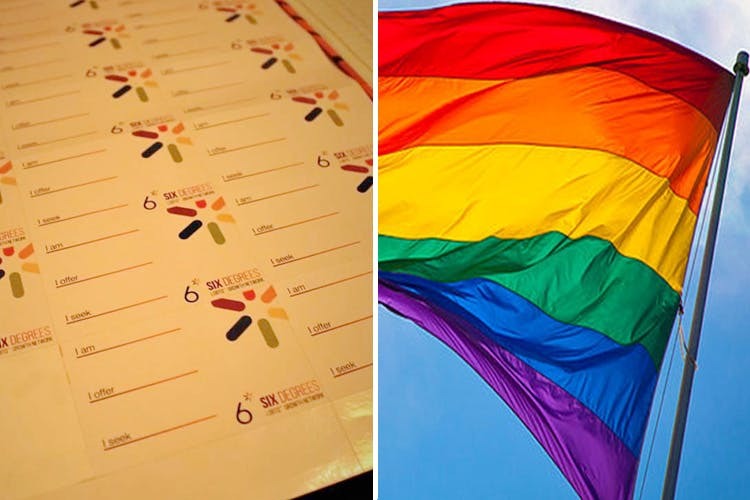 A new LGBTQ platform has been launched that is aiming to get the community to network, find jobs and more – and they will be regularly organising events in the city. 6 Degrees is a venture by Mumbai-based activist, Harish Iyer, Praful Baweja and Sushil. The idea behind the platform is to create a space and a network amongst the LGBTQ community – wherein the members of the community can network, recruit, looking out for jobs, share ideas or even hone new skills. By bringing together the voices of the community, the idea is to bring their contribution to the society to the foray. 6 Degrees is an open and no-discriminatory platform. According to a report in Mid-Day, one of the main goals of the platform is to work on skill-sharing, network and just engage with professionals from around the city. Monthly workshops will be held in the city covering a myriad of topics like photography, screenwriting, resume writing or even cooking. 6 Degrees in a sense is filling the gap in the city that specifically aims to uplift the LGBTQ community. By providing this platform, the community is hoping to make a point that the community’s contribution is equally essential. The initiative was lauched in June and they have organised two events at SambarPub previously. They will be regularly putting up more of these networkinging events, and don’t forget to carry your business cards/IDs. Find them on Facebook for upcoming events here.